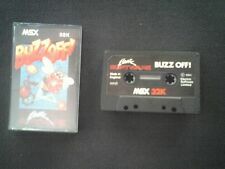 Home » Forum » MSX Talk » Hardware » Is someone interresting in MSX UNIFACE new development? Is someone interresting in MSX UNIFACE new development? Is someone interresting in new MSX uni interface, which may be several outputs and inputs, such as digital and analog inputs and outputs in corridors and exits, where voltage and ohms and many other variables are measured. There are several mount prints for different quantities. You mean like a kind of Arduino for MSX? So I can control some leds, send data to some IC's, read some pots and so? It is not a arduino card for the MSX. 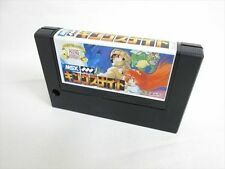 It is a MSX cartridge that you put in a MSX cartridge slot where you insert different modules can connect to. Interesting, what about the price? mmm sound interesting...can you explain it with a little bit detail, please? Any photo ? Uniface is an interface system development, with low-cost logical ICs and 34 pen cables, by the dutch Philips Computer Club (PTC). Interfaces for computers like MSX and P2000 and the IBM PC have been developed. It is a bus system, with addressable devices that can provide any kind of I/O, like digital and analog inputs and outputs. If you can read dutch and are interested, all available information like articles from the PTC magazine (all magazines are for sale btw!) and the book can be found on my info pages. I think I found 4 uniface/komeet pcb's and 1 msx cartridge. Anyone know about this stuff, my reading of pcb designs is very poor. What kind of cable do I need? I read I can connect several prints on one cartridge? ?